The next time someone asks you to send them nudes, have these noods’ delivered to them instead. 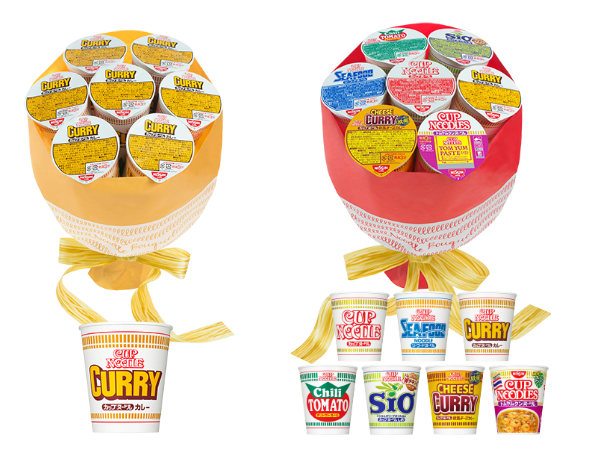 Ramen brand Nissin has debuted a series of unique Valentine’s Day gifts you can surprise the carb lover of your life with: noodle bouquets. The collection comes in four varieties. 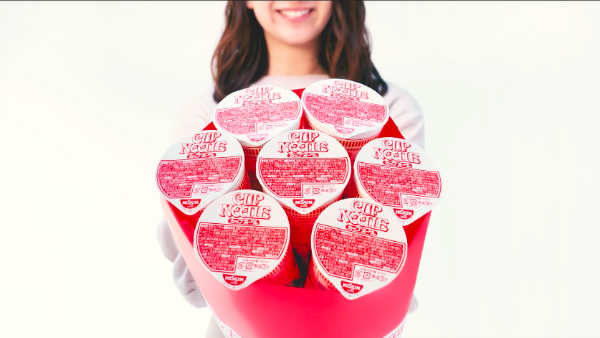 According to Nissin, the original red one—which features the brand’s top-selling flavor—is for the number one person in your life. 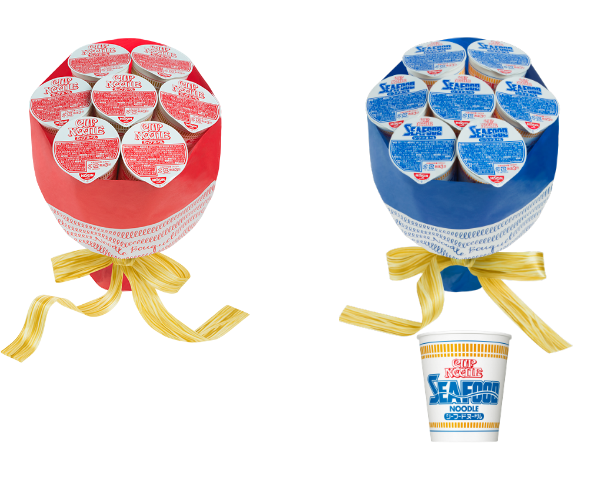 The blue ‘seafood’ bouquet helps you imply that your affections for the recipient are “deeper than the sea,” and the yellow ‘curry’ version is for those keen to spice up their lives. The final ‘variety’ bouquet—which holds an assortment of flavors—is created to bring extra color to your romance. 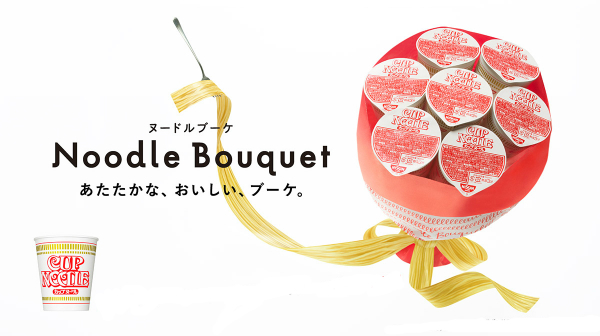 All bouquets are priced at JP¥2,980 (US$27) and come delivered with seven cups of instant noodles, which are held down by plastic “stems” and bundled with ribbons that resemble the carb. Have a look at the selection and head over to Nissin to ensure none of your loved ones don’t feel stranded on Valentine’s Day.